You know you're in for good ramen when you see a ton of Japanese business men and families frequenting the joint. On any given weekday at noon, Orenchi is guaranteed to have a line and not just by nearby Silicon Valley nerds (I am allowed to say this because I'm a SV nerd). Tucked away in a random ghetto mall area is this gem. On this particular afternoon, I showed up at around 1 PM for a party of 2, and there was still a 15-minute wait. To my pleasant surprise, by the time we were seated, the restaurant was bumping house music, and at one point, Tiesto! 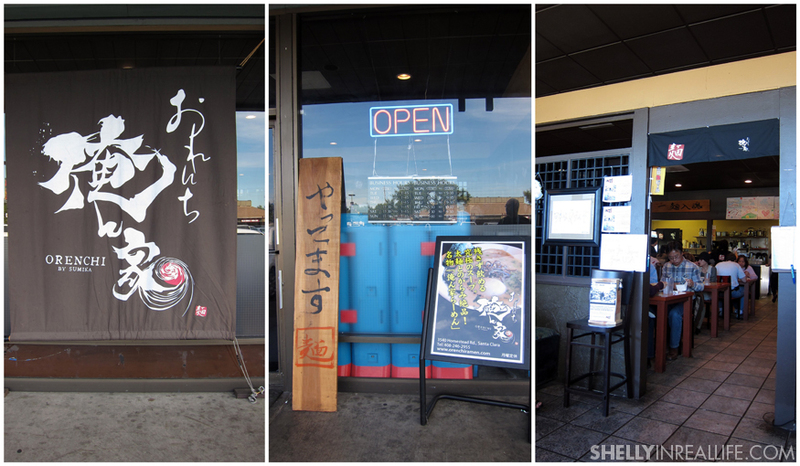 Strange for a Japanese Restaurant, but still fun. However, to my dismay, they ran out of their amazing Karaage, (Japanese Fried Chicken). The last order went to two people sitting next to us, sad face. 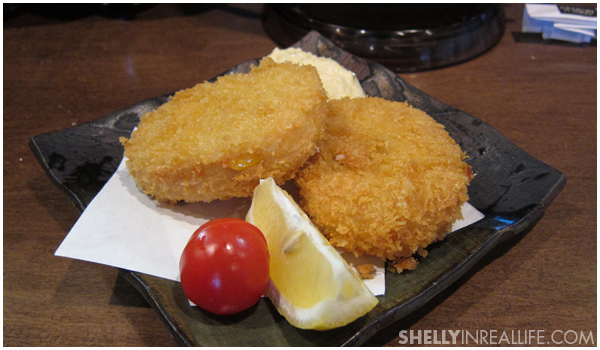 To compensate, we got the Potato Croquette as an appetizer. Potato Croquette is NOT a good replacement to their Karaage - A bite into this huge croquette and I realized that it was a big let down. Too much potato, not enough fried goodness. My spirits were lifted once my Orenchi Ramen came though. We all eat ramen for different things. Some might be looking for flavorful broth or melt-in-your-mouth chashu, but when I go to Orenchi, I know what I'm looking for. It's their perfectly boiled soft boiled egg with a runny yolk. I absolutely love their egg and always look forward to watching the yolk ooze out. How do they do this?? I still can't even make a perfectly peeled hardboiled egg yet! 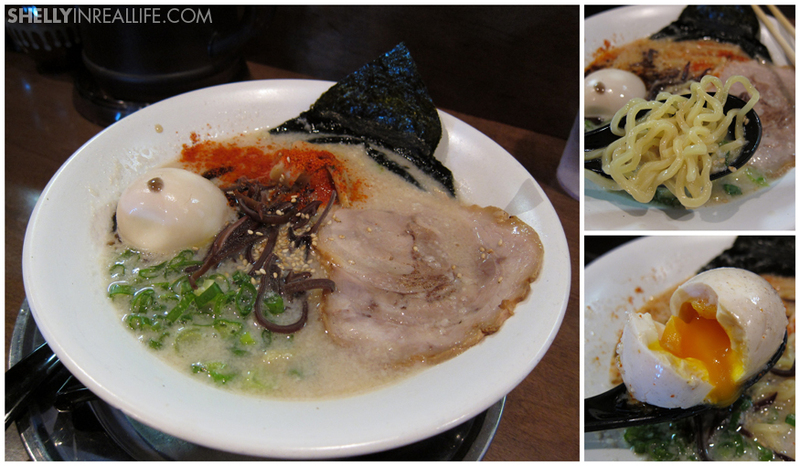 So, despite my Karaage disappointment, the consistency of their ramen will keep me coming back for more. This was just a lesson learned to never come at 1PM because it is possible that they will run out!